Rosedale Smiles in Maryland is now offering a wide-range of cosmetic dentistry services at rates everyone can afford. Rosedale, MD, March 09, 2019 --(PR.com)-- Everyone would love to boast a perfect, pearly white smile but the high costs of cosmetic dentistry in the country have forced people to avoid consulting professionals. Thanks to Rosedale Smiles, the people of Maryland now have access to affordable cosmetic dentistry procedures. Compared to other dental procedures, cosmetic dentistry is a lot more expensive mainly because it isn’t covered by insurance plans. There are dental plans that can cover some cosmetic surgery procedures like crowns and repair/structural issues but even then patients will cover most of the costs. “With our cosmetic dentistry services, patients can now get that picturesque smile they’ve always wanted without spending excessively. In the era of selfies, people are more conscious about their smiles than they’ve ever been in the past. We evaluate the dental structures of every patient and work with them to develop a customized treatment plan. By following the steps we lay out for you, you can get the smile of celebrities you see on the big screen,” says Dr. Fonmedig of Rosedale Smiles. Rosedale Smiles offers a number of cosmetic dentistry procedures including Chairside bonding, Lumismile teeth whitening, E.Max and Bruxzir esthetic crowns and Snap-on smile. Chairside bonding is a single procedure that addresses a range of issues like tooth decay, cavities, misalignment, gaps and even cracked/broken teeth. Patients suffering from issues can fix all their dental problems with just one procedure. Rosedale Smile dentists are experts in building durable bonds for your teeth that last long and appear natural. Rosedale Smiles esthetic veneers services that involve bonding thin pieces or ceramic or resin materials to crooked, stained or chipped teeth results in a straight, beautiful, pearly white smile. “Whether you want something as simple as teeth whitening or a procedure that is slightly more complex such as E.Max and Bruxzir crowns, you can trust our dental specialists to provide the best treatment and care,” claims Dr. Fonmedig of Rosedale Smiles. 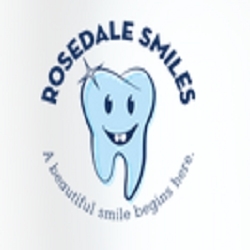 Rosedale Smiles serves the residents of Rosedale and surrounding areas including Nottingham, Essex and White Marsh. Aside from cosmetic dentistry services, it also others general dental procedures such as Invisalign, dental crown bridges, preventive services and more. Rosedale Smiles is a family dental clinic based in Rosedale, Maryland that offers a selection of general and non-invasive cosmetic dentistry services. It’s the go-to clinic for affordable dental services and emergencies too.